I'm sure we'll get more out of the Clone Wars than just entertainment. I foresee there will be many custom designs. It is our destiny. Eh, I can kinda see it. Republic requested more armor, bigger punch, etc etc etc... Republic fell, Koensayr Manufacturing strips it down to sell in the public sector, Rebels get it, strip it down more. The Y-Wing was already supposed to be old during the OT. It doesn't need a precursor for the clone wars. It's like the Klingon Battlecruiser of the SW universe. Ah, nothing like seeing Lucas Art's continued assault on any sort of continuity. I don't know, really. The shape is rather odd, and the ship doesn't really look Republic-like, at least by colours. It is a neat idea, though.. I think I'll wait for some action shots before I call the final judgement. Nevertheless, I have to admit that one detail in the craft is pretty awesome: the turret bubble. It was in the original Y-wing desing, yet resembles quite a bit the bubbles of LAAT gunships. It might be nothing intentional, but at least it's nice to think that there would be a connection like that (even if the gunships in the new series don't seem to have those bubbles at all..). No, this looks daft. This looks too bulky at the rear, and nothing like the general aesthetics of the Republic, IE wedge shaped or with S-Foils. I like it. I don't see why everyone's so quick to attack the prequels for lining up with Original Trilogy. I think they've done a decent job with stuff like this so far. I think it's cool. I doubt this will be the final product, as this is just concept art and it's subject to change. You're an idiot. You're fired! Seriously, if you're going to make a bomber, why not base it off a ship like this. It's big enough to hold several bombs, got great engines, and a whole lot sleeker than a Y-Wing. I mean, if you compare it to a B-52 bomber and the B-2 Bomber, you'll notice that they essentially combined the two and gave it a shiny chrome finish. What better vehicle to base a bomber off of? I mean seriously, it would be nice if they used a little common sense every now and again. I suppose a sleeker design would be nicer, but it still looks cool to me. All second'd. It looks silly and stupid. And the paint strip makes it look more like an M or V-wing. Even though I'm a PT fan, I have to ask - what are they doing? It's not that I don't want more Republic starfighters but having a weird looking Y-wing fighter as one is just not appealing. If they used that picture that dWhisper linked to, I would be singing a different tune. But I don't like the weird modifications. I know there are a lot of glaring inconsistencies that the prequels have with the original trilogy and the early expanded universe, but I think this one makes pretty good sense. Like Swoosh said, the Y-Wings of the original trilogy were designed to be old, battered ships at that point in the story. That's why there are so many internal components visible. If they were new with complete platings and fittings during the Clone Wars, they would be around 20 years old by the assault on the first Death Star. 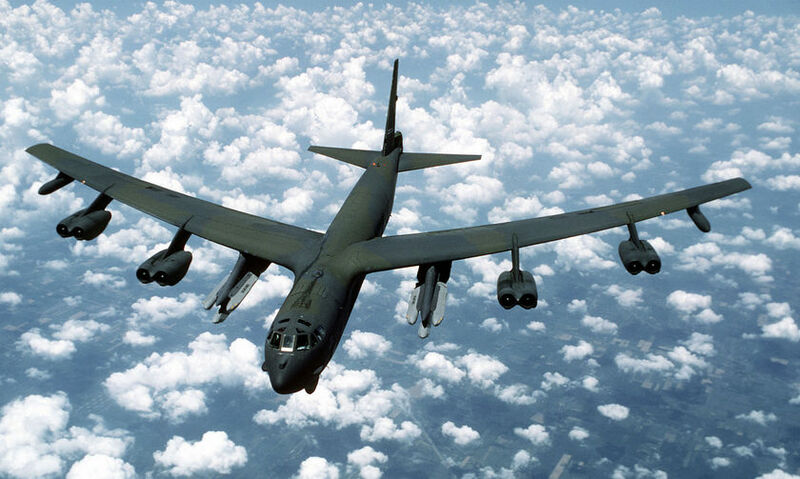 Thinking about bombers in real life, that's pretty dang old to still be in service. And as for being bulkier and slower than the other Republic fighters, that's apples and oranges. The Y-Wing is a bomber, which if you were to draw inspiration from our world, would almost certainly be bulkier and slower than a fighter. Beeing an OT fan and a Y-Wing fan I think that this "concept" looks really cool but I have difficulties to see how it will fit in the CW, that is to say in between Ep2&3. Why is it not preset in ROTS ? Regarding the design I think its odd: i has the old looking front of the superb Y-Wing but has a way more sleek and modern rear !! I lack the "head" on its own though, due to the fact that the cockpit main body is in V shape. Its a cool combination though. Ive seen some pretty ugly ships in the PT before, but this takes the cake. I can be assured that if it is an important part of the Clone Wars and lego releases a set for it, I will not be getting that. It's another example of EU stepping over itself. V-Wing or V-Wing? I like the picture Don linked to earlier over this angular monstrosity. It looks like a Y-wing on steroids. It looks like a Y-wing on steroids. Ha ha ha ha ha. Yeah, I could totally see that, GIR. The Y-wing actually did look kinda like that when they showed the fully armored version of it in Incredible Cross-sections, I personnally do not like the shape of it, it doesnt look Republic enough to me. No it didn't, it looked exactly like the image I linked. Actually, I'm beginning to like this design more and more. I think that the real key word is predecessor. It doesn't mean much about the Y-Wings we saw in the OT. The image that Don linked to was a Y-Wing before the rebels stripped down, namely the BTL Y-Wing Starfighter that we saw in ANH, but this design that we're seeing is a Y-wing that came before that one. It probably inspired the design of the later Y-Wing during the GCW but isn't the same Y-Wing used during the GCW. So continuity (for once), escapes, unaffected. It could be a prototype stolen from Koensayr Manufacturing and Ani and crew need to retrieve it. Or it could be a wrench of the SW continuity. But still, somehow it looks less Republic-like than the one in the concept image. I don't really know why, it just does.. Perhaps it's a bit too round- and soft-shaped? That, I like. 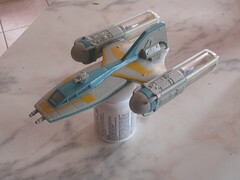 It comes across as a real, successfully designed ship instead of just a lazy "let's take the Y-Wing and stretch out its planes to connect with each other" version like the first post's artwork. --Add some wings to the engines. --Get rid of the yellow stripes on the engines and engine supports. Agreed 100%. I think adding Y-wings to the PT is a good idea (they should have been in ROTS in place of the ARC-170s), but this is a pretty poor attempt by Lucasfilm. The original Y-wing is one of my favourite ships and they just butchered it here by turning it into some Jetsons family car wannabe. The one in the cross-section book, or that model above, would've been way better. At the very least, they could accentuate the slope of the wedge so it looks more like a V-wing, and maybe add S-foils to the engines like Darth Pityles suggested. 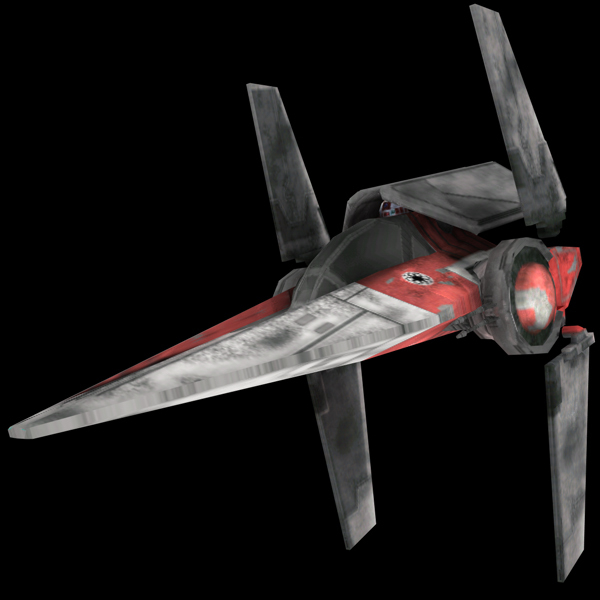 Hopefully, as others have said here, this will NOT be a mainline Republic fighter, but instead form the local defense force of some planet, just like the Naboo fighters did. I'll admit the clear ball turret is a nice touch.